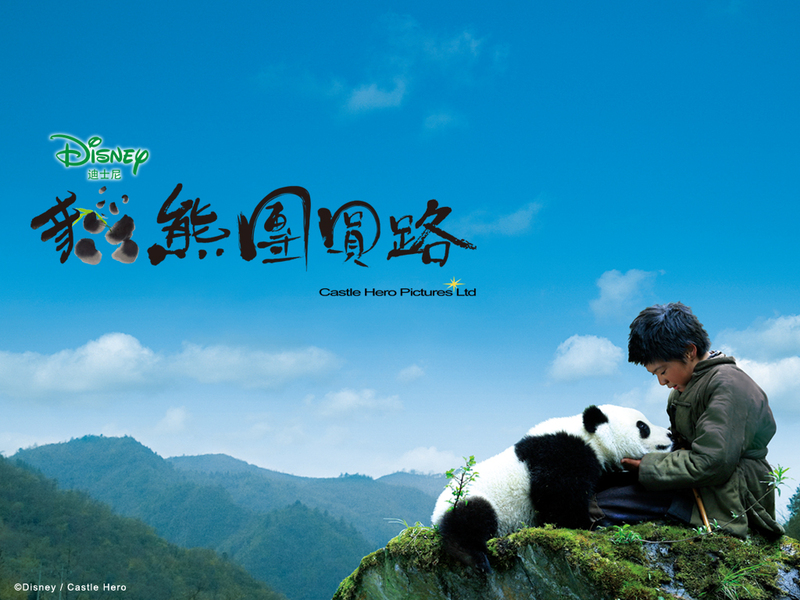 TRAIL OF THE PANDA, which came out in 2009, is a treat for those who love the black and white furry creatures. 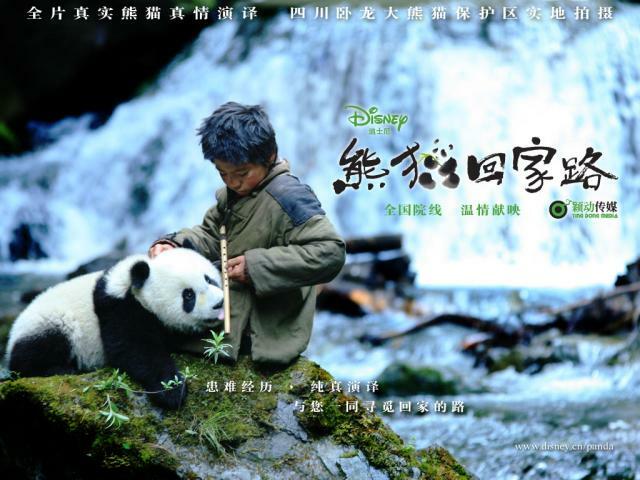 Shot in Sichuan province, amidst the snowy and lush mountains that are the natural habitat of the giant pandas, the film combines both fact and fiction. The result is a very heartwarming story that even non-panda fans’ hearts would surely melt. The story is about Lu, an orphan boy, who rescues a panda cub from a city hunter and his journey to return the cub to his mother. The story is said to be inspired by one of the founders of the Wolong Giant Panda Nature Reserve in Sichuan who saved a panda in his childhood. 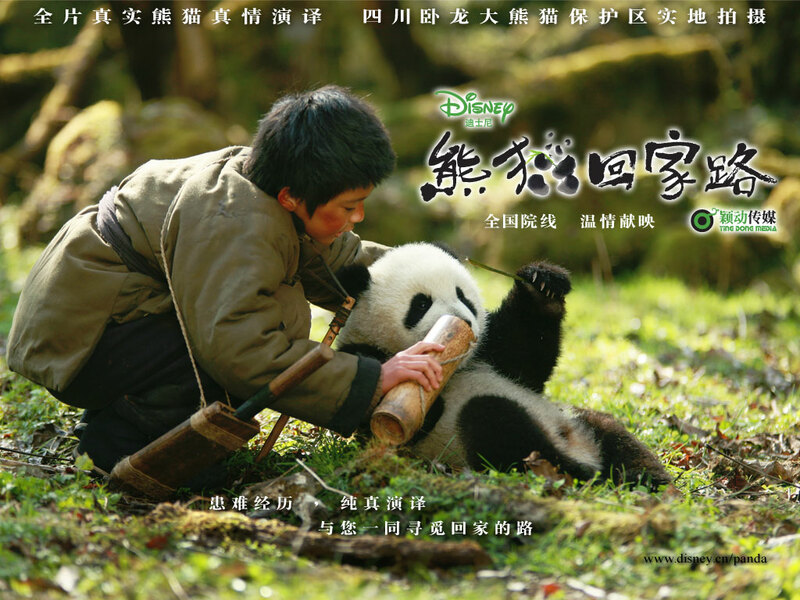 It’s a Disney production so it appeals especially to children who will be fascinated with the natural shots of the pandas sleeping, frolicking and playing. But it was not that easy for the crew. This article says that the crew had to follow the schedule of the pandas, that were allowed to work a maximum of 90 minutes a day. Yeah, beat that superstars, these furry animals are more divas than you are. Seriously, pandas have a daily routine just like you and me. They sleep, wake up, eat boo, play and sleep again. They are carnivores by nature but because of the habitat where they have lived for centuries, developed a herbivores diet. That’s what makes them different from the other bears, and that’s also the reason why they don’t hibernate in winter, and get tired easily because of their diet. This is also why they are deemed lethargic because they sleep a lot and are not that physically active compared to other animals, but this is because they need to preserve their energy. The cub in the movie was played by six different pandas including mah boy Kai Kai, who was known as Wu Jie back in Wolong and is now at the Singapore Zoo. I was looking for the cub with a tuft in the film but couldn’t really differentiate them. Mao Mao, the female giant panda that played the mother of the twin cubs died in the Sichuan earthquake in 2008 and the film was dedicated to her. PERSONAL: Call me a softie but I was crying practically throughout the whole film. I remember when I was a kid, my parents took me to watch a film about an elephant. There was a scene where the elephant was locked out of the house and I bawled so loudly and wouldn’t stop they had to take me home. I felt like that kid while watching TRAIL OF THE PANDA. Good thing only the bears, pandas and sheep were the mute witnesses to such display of sentimentality. Not that the film is tragic. In fact, I had to keep on reminding myself that this is a Disney production and it would have a happy ending. Indeed, no panda died in the film (except of course Mao Mao did in real life), and I’m sure based on the making-of-the-film news, that no panda was harmed during filming either. But I just felt emotional for these adorable animals whose habitat has been destroyed by man and deformed by the Sichuan earthquake. It’s a good thing that China, which considers these animals as a national treasure, has enacted laws to protect them. But as individuals, there are also lots of ways that we can help giant pandas like joining the adoption program at San Diego Zoo or joining the volunteer program at Bifengxia Panda Reserve or at the Wolong Nature Center. Let’s help save the pandas!